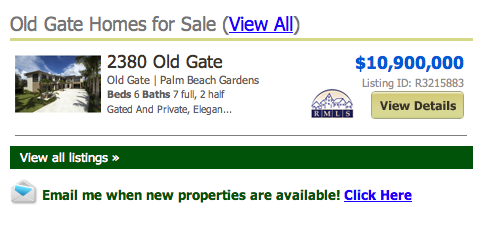 Old Gate Palm Beach Gardens homes are an exclusive enclave of 4 estates in their own private community. 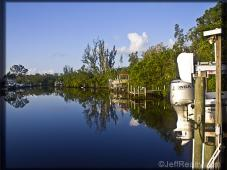 These are elegant masterpieces are situated on the Intracoastal with deep water lots. Extravagant 10,000 square feet in under air with only the finest of materials. Old Gate Homes online now. All listings & Sold Statistics! Located off Prosperity Farms Roads by Donald Ross, these homes are the best of the best in the perfect locale and most high in demand real estate around. Incredible architectural design, structural quality, state of the art electronics and conveniences, and natural flow are combined to take full advantage of the South Florida lifestyle. Situated in the heart of Palm Beach Gardens, residents can take full advantage of Jack Nicklaus private, Bears Club, literaly accross the street. Intense and 4 star cuisine is right by your doorstep. World class shopping is nearby at the Outdoor at the Gardens, Palm Beach Gardens Mall or downtown Palm Beach on Worth Avenue. Take in cultural fare at the Maltz Theatre in Jupiter or Kravis Center in Palm Beach. Airport access is just 20 minutes away at Palm Beach International via I95. 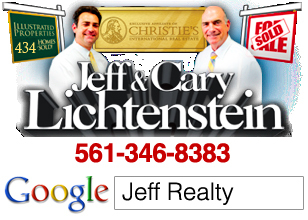 Posted in Palm Beach Gardens homes for sale, Uncategorized on October 2, 2011 at 3:27 pm.